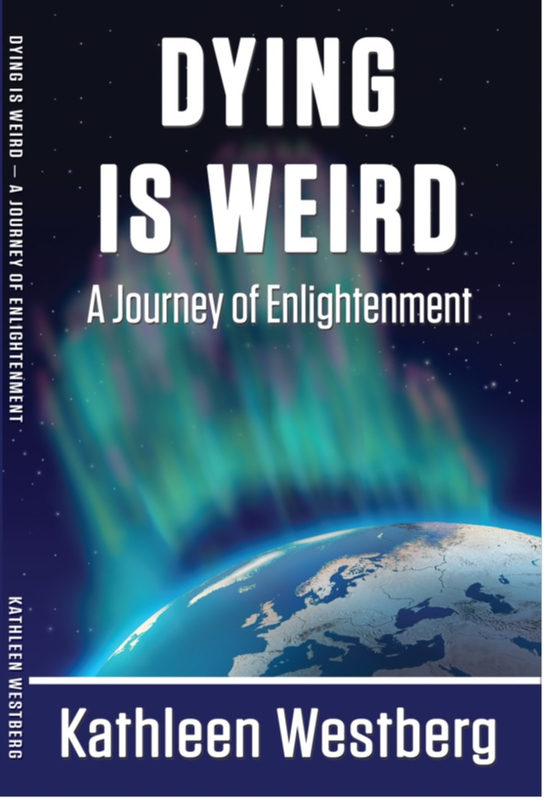 In sharing her memoir, Dying is Weird: A Journey of Enlightenment, Kathleen Westberg brings us into her life as she loses loved ones and then begins searching for meaning in life and death. Her story resonated with me as my own mother is now under hospice care and shows dementia symptoms very close to what Westberg’s mother experienced. And my mother also feels my grandmother’s presence in her room now – weird, as Westberg says. How can we feel more of a connection to our loved ones during and after their lives? Well, Westberg shares some answers she found through the work of Edgar Cayce, which stirred her soul and led her to continue her studies of metaphysics and spirituality. His ability to communicate with his friends and relatives that had died, she explained, helped her to broaden her views on keeping in touch with loved ones after they have passed on. While she always showed some heightened psychic abilities, once Westberg begins studying and attending holistic healing conferences, there is no stopping her in sharing her Healing Touch, interpretation of dreams and precognition of events. Kathleen: My experiences with the death of loved ones has been at times so perplexing, befuddling and fascinating, that I knew I wanted to write a book about what I experienced. The title of my book, Dying Is Weird, comes from a personal experience in which I witnessed the transition of a family member and her words to me. The word “weird” according to Webster’s Dictionary has several definitions: supernatural, odd, strange, uncanny and magical just to name a few. So with the definitions and my personal story it all fit into what I thought was the perfect book title. Death to me was weird also, because of the experience I had when I was eleven. It touched me in a deep way and awakened me to some of my own perceptions that would stay with me throughout my entire life. In that sense, dying is weird because it is something that has been a part of me from a young age, and it transcends time and space. Becca: Why do you think people in our culture are unprepared for death? Kathleen: Years ago, death was looked at much differently. I’m not saying that the grief was any less, but before the age of medicine, the mortality rate was very high and everyone suffered the loss of loved ones, sometimes at relatively young ages. Children were apt to die from illnesses that are now preventable. Multiple families lived together and relatives lived in close proximity always lending support and comfort. I feel they had a different understanding about life and death. Births as well as deaths were witnessed in the home which made both a more natural experience. Society has changed dramatically. The natural cycle of birth and death is no longer witnessed at home. Families don’t have the commitment to care for the elderly so the aging population becomes more compartmentalized and the elderly die sometimes distances from their loved ones. We have also become more materialistic, with more of a focus on money and material possessions. Also, people have a harder time accepting something if they can’t measure it or quantify it. I feel by learning to cultivate or develop our clairvoyant perceptions we can become more aware of that dimension of existence, called death, and our experiences might not seem so out-of-the-ordinary. Working at being more loving and learning to forgive and reconcile relationships and maintaining that loving awareness, I think would help us all be better prepared for death. Becca: What was the biggest lesson you learned in your metaphysical studies? Kathleen: Maybe the most important thing I’ve learned is that my intuition and spiritual understanding has grown in direct relationship to my studies. I have learned so much from making the effort to take different classes and study with a variety of teachers. There have been so many teachers in my life that have shared their talents and spiritual abilities and it seems I always take something very worthwhile from each one. I am fascinated by energy work and the energy of the world, be it in a house of worship, someone’s home, out in nature and of course the energy of others. The more I put effort into those areas, the more aware I become of these spiritual dimensions and the more I am able to help others heal and grow. When we make a conscious effort to develop our metaphysical awareness, the creator can work through us and it then becomes a natural attunement to use at will. Kathleen: I want people to understand that death is not the end of life – that we are transformed by death, and somehow our consciousness or awareness carries on in a spiritual dimension or existence. By opening our minds to receiving messages through our dreams, and through our inner senses, we can change and minimize our fear of death. For me, one of the most important life lessons that has helped me deal with death is a sense of humor. Smiles and laughter help me to temper the grief that I experience. When we love more and laugh more, that connection never ceases to exist. I can feel it coming back to me through the ethers. Kathleen: It’s my vivid imagination that has helped me to picture what happens after death. Sometimes I can feel the warmth and the laughter coming from my loved ones. Even when writing my book, I could sense the love and encouragement that was being sent my way. I also get a sense when someone has moved beyond the first plane of existence after death; it’s a little harder and takes a little longer to get their attention. In one moving dream, long after my mother had died, she finally answered my pleadings to contact or connect with me. In my dream she walked into a room where I was and looked like she had just awoken from a long nap. The message I got was I had disturbed, or awakened her on her sojourn to the next level, but if I really needed her she would take that time to let me know she was always available for me. I just started reading Deepak Chopra’s Life After Death: The Burden of Proof, and I’m excited about what I can continue to learn about the process and experience of death. His book is more of a synthesis of medical, scientific and spiritual perspectives, whereas my book is written from my personal experience with spirituality. Becca: What advice to you have for other first-time authors who feel they have inspiration to share? Kathleen: My advice for first-time authors would be to believe in themselves. Since I have always been a better listener than a talker, I hear the stories from others and I see how by sharing their stories, as I did, the author can uplift, educate, and just simply entertain readers. Writing helps bring your inspiration into focus; it puts your inspiration into a form where you can look at it, reflect on it and work on it. We get so busy with our lives and our obligations that we can get distracted from a deeper sense of purpose in our lives and work, and so it’s very important to make sure to set aside time to write. It may not always come out in perfect form, but you can always go back and edit or rewrite your material. It’s important to just keep writing. Are you ready for death? How many of us go through life, busy, busy, busy, not at all prepared for the inevitable? In Love With Death provides beautiful reminders to cut through materialism and focus on what matters most, which will see your happiness and clarity of life soar like never before. 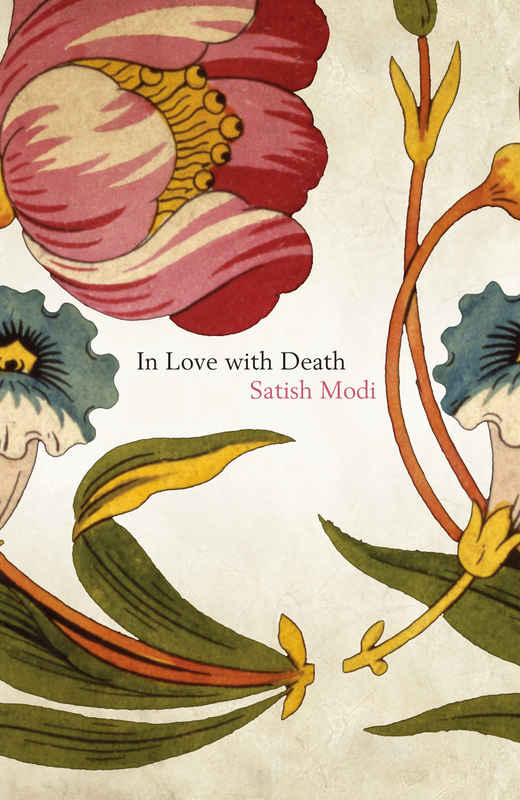 The ideas and stories Satish Modi shares in this beautiful little book can actually make you see death as a positive force, one which directs you toward a life that is more conscious, more connected, more inspired to share your true self, your love and kindness. In Love With Death starts by asking you to write down your name and your date of death, and work out just how much time you have, so you don’t waste any. This book gives one much food for thought, without spouting any specific way to act or think or approach spirituality. Many different opinions are shared – leaving it up to you to pay more attention to how you are living your life and preparing for your eventual death. Q. Why is the subject of death in particular so fascinating to you? It’s not a question of fascination. Death is a reality. Everyone who is born is meant to die. We are here in this world on a lease of just a few years. If one understands this fact, then all problems in this world appear very tiny. Focusing on death and on the brevity of life changes our perception of life and of the happenings around us. Of course, this answer cannot be encapsulated in a few words – the reader has to go through my book to grasp the exact meaning and essence of what I am trying to convey. Q. In your book, you illustrate how to determine how close you are to death using a fork, a knife, and a saltshaker. Where would you place yourself on your own ‘timeline? I would place myself on my own timeline, according to which, I have already lived 80% of my life and 20% remains. Q. How did your perception of your own “death date” inspire you to write this book? The perception of my own death date did not really “inspire” me. The inspiration came from a Buddhist spiritual lady from Japan who mentioned that she knew me from a past life. Of course, the awareness of my death date did help me to crystallize my thoughts – understanding that all of us are just visitors to this world and we are here only for a limited time – so why not make the best of the given life by living it in goodness, love and humility. This is very important. We should consider that today is the first day of the rest of our life. We should think about what lies in front of us and try and forget about the past. Q. What do you think is the “secret” to living a fulfilled, successful life? Everything in this life will pass. True happiness does not lie in money or in the material world. “Death,” which is often ignored or treated as a forbidden subject, should be viewed instead as a catalyst to living fulfilling, meaningful lives. This present journey is a precious one – so why not live it in goodness, gratitude, humility and kindness, fulfilling our responsibilities with good thoughts, words and deeds. Q. Should people fear death in any capacity? If we were to live forever, life would be unbearable! People should not fear death. It is bound to happen any time, any day and at any place. This is the universal truth. If one has lived a good, worthwhile life in purity and goodness, one should not fear death. To quote from my book, “Just as an Olympic athlete could never win without proper preparation, so we cannot achieve the goal of a peaceful final departure unless we are ready. After years of preparation, the athlete looks forward to the Games. We, too, can actually await the final passage without any fear – in fact, with anticipation and complete satisfaction – but only if we have prepared ourselves for it. “It is never too late to start. Recognise the value and importance of being prepared: by living a life of good deeds, by fulfilling our responsibilities, by elevating ourselves above the web of worldly illusions, by moving towards a higher plane. Such a person is ready to face death without any fear. Here is a person ready to embrace the opportunity to enter a new world in happiness and peace. Here is a person totally in love with death. Q. Out of all your achievements, what is your greatest accomplishment in life? My greatest accomplishment is that I have been able to write this book. Everything in this world is temporary but a book remains forever! It gives me immense satisfaction to know that I have been able to reach out to people and give them some sort of comfort. The number one thing that the readers, I hope, will take away from my book is the constant reminder that our time in this world is limited and for the time left we should live in happiness, goodness and humility rather than in greed, jealousy and anger, running after money or pursuing material wealth. If I can bring about such a change in the minds of the people, I would have achieved my goal. We need to constantly remember that this whole life is an illusion; we have come to go. So, let’s start living with a sense of detachment and not get caught in the web of pursuing temporary happiness in the form of material goods, wealth and power. I also hope that people understand from the book that death is a great equalizer. All people – achievers, non-achievers, everybody – will all eventually be reduced to 3.5 kgs of dust! So, it’s not about achieving and not achieving – it is about the purity of the soul. 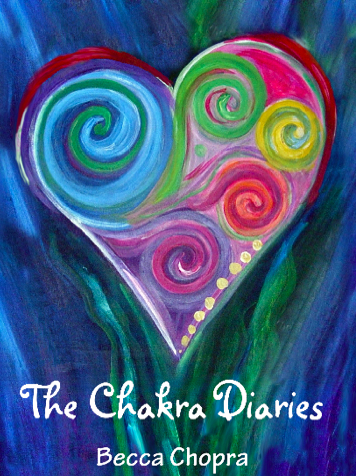 Enter to receive a free copy of the hardcover version of In Love With Death by Wednesday, March 11, emailing me at Becca@theChakras.org with FREE BOOK in the subject line, and be sure to include your address.